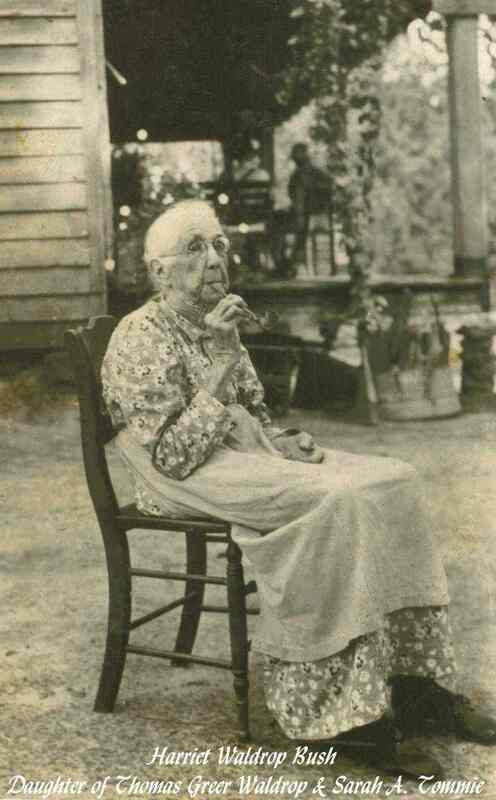 Comments: Harriet Elizabeth Bush (Nee: Waldrop) | Waco GA US | 1921-1940 | Comments: Harriet Elizabeth Waldrop was born in 1843 in Henry Co. GA to Thomas Greer Waldrop and Sarah A. Tommie. She was married to Abraham Posey Bush and died in 1937. Harriet is buried at Waco Cemetery in Waco, GA.